Texas in the 1930's was often described as two things: hot, and dusty. Maybe that is why so many of the world's best poker players originally came from Texas. Simply put, they were used to the heat. Brian "Sailor" Roberts grew up in the small town of San Angelo, and never dreamed of much outside of Texas. The tiny town has changed greatly from its earliest days as the prototypical Wild West gun-slinging cowboy town, but still hasn't reached a population of 100,000 people. That would be fine with Sailor. In high school, Roberts supported himself by shooting craps with the other caddies at the local golf course, and enjoyed success on the football team. Traveling a barren, two-lane road 100 miles due north led to Sweetwater, home of another Texas high school sports star, Doyle Brunson. Texas is big, and it's another 200 miles north to Amarillo, the home of one of Sailor and Doyle's early poker buddies, Amarillo Slim. In the early 1950's, Roberts spent four years in the Navy during the Korean War. There is something about craps and poker that almost all military-men have in common; they either love the games, or they hate them. Usually the distinction is based on whether they won, or lost, during their hitch. In Robert's case, he came out of the Navy as a full-time gambler. I suppose it's obvious that he loved the games he was playing. Texas, home, poker. The words didn't always run in that order, but that's what first went through Roberts' mind after the war. T.J. Cloutier says the top three things later became golf, poker, and girls, but at the time, Sailor had seen a bit of the world, and Texas still looked good to him. The caddies were too young and underpaid to be of any help now, so San Angelo was just a pit stop. Any town with a decent poker game was just fine, and Roberts began running into some of the better players in the state, and he was hearing about the guys like Johnny Moss, who played in the "big" games. After a few years of going it alone, Brian, who was now often called "Sailor", found himself traveling the same circuit of games that several other younger players like Doyle Brunson, and his friend Dwayne Hamilton. Hamilton was tired of the road, and moved back to Fort Worth, and since Sailor and Doyle got along so well, they became business partners, splitting their gambling income, their expenses, and their heartbreaking loses. They also kept their ties to Fort Worth, becoming partners as bookmakers. Poker is a lonely game, where bankrolls flourish like an oasis in the desert, and vanish again, as if they had only been a mirage. As Amarillo Slim tells it, Sailor had plenty of gamble in him, but probably got rich fifteen times in his life and was broke every time within a year. 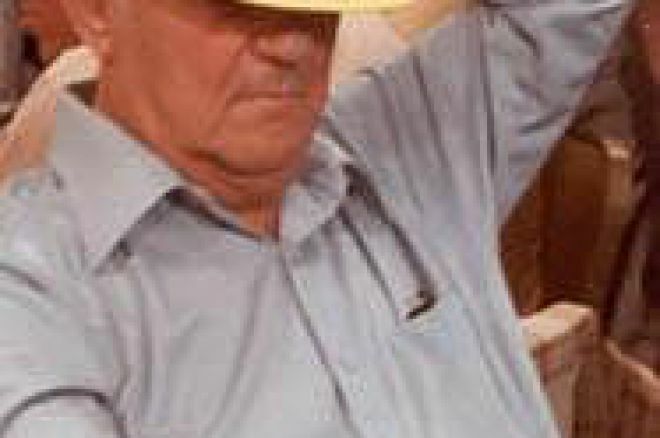 Slim recalled playing a poker game in Brenham, Texas with Doyle and Sailor, and telling them if they ever were in Amarillo, that he would try and get a game going. Sure enough, a game was setup and by the time the two partners arrived, the game had already broken up, so they all headed over to Slim's house. Slim played each of them heads-up, busting them both. Before they left, he gave them a couple thousand dollars to get to the next poker games. Less than two weeks later, Slim received the money back via Western Union. Doyle calls "honor", a gambler's ace in the hole, and Slim learned that Sailor was as honorable a person as there ever was. When they ran into each other again during a poker game in Midland, Texas, the three became partners. They continued traveling the southern poker circuit, playing all types of poker, and making bets on anything they thought they had an edge on. Of the poker games they played, Sailor excelled the most at deuce to seven lowball, and if there was no poker, the friends played golf, and booked sports. On September 13, 1961, the Federal Wire Act was passed, which made it illegal to transmit sports and betting information across state lines. Doyle and Slim decided to quit the bookmaking. Sailor kept at it. In late 1962, Doyle Brunson told his new wife, Louise, that he had a sore throat. Over the next few weeks, a pea-size knot on his neck grew to the size of a hen's egg, and the antibiotics he was taking didn't seem to be working. After successful emergency surgery, Doyle was sent home. For the next two weeks, Louise and Sailor took turns watching over Doyle, 24 hours a day. A friend like Sailor is hard to find, and it was a tough blow to Doyle when Sailor was convicted of operating a bookmaking operation. Sailor spent over a year in a minimum-security Federal facility, then got out of jail and headed back to the poker circuit. Money came, and went, and it never seemed to bother Sailor. If a player was down on his luck, Sailor would loan him enough of a bankroll to get him started again. Sometimes the money came back, and sometimes Sailor went partners with players. Other times, there was no return on his generosity. More than a few times it was Sailor who was trying to build up his bankroll again after his generosity with other players, or the ladies had left him short. At the sixth World Series of Poker in 1975, Sailor Roberts bested the field and sat at the final table with all the chips in front of him. He pulled at the baseball cap on his head, took a draw from his cigarette, and smiled at the crowd. Nobody there was unhappy to see him win it all. The $210,000 prize for the championship may pale by comparison to today's numbers, but the quality of play was just as tough. The championship was Sailor's second WSOP bracelet, having won the 1974 deuce to seven lowball title. He continued to play each year at the WSOP, finishing eighth in the 1982 championship. Although Sailor passed away too young from sclerosis, caused by hepatitis, and spent time in jail from his bookmaking operation, he is remembered as a poker champion and a good friend to many of the game's best players. Bob Ciaffone remembers Sailor as, "A very personable, capable player, probably the best liked of all the better known players." Poker is a game of aggression, and produces hardened players, but as Brian "Sailor" Roberts proved, even a champion can be a good guy, and nice guys don't finish last. Please visit our online poker room directory to see the best bonuses on the web!